What is the Tom Clancy's Rainbow Six Siege Game? Tom Clancy's Rainbow Six Siege (often shortened to Rainbow Six Siege) is a tactical shooter video game developed by Ubisoft Montreal and published by Ubisoft. It was released worldwide for PC, PS4, and Xbox One platforms. 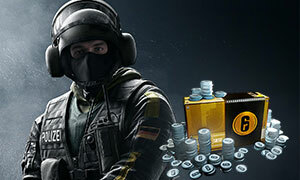 What can Tom Clancy's Rainbow Six Siege Credits spend on in the game? In-game Rainbow Six Siege Credits for Tom Clancy’s Rainbow Six Siege. Use these R6 Credits in-game to purchase the newest Operators, uniforms, weapon skins, charms, and more! 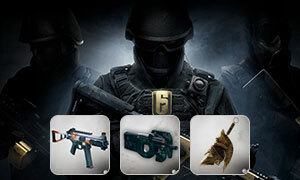 You can Buy Rainbow Six Credits & R6 Digital Content (Items) from Joymmo.com game store.